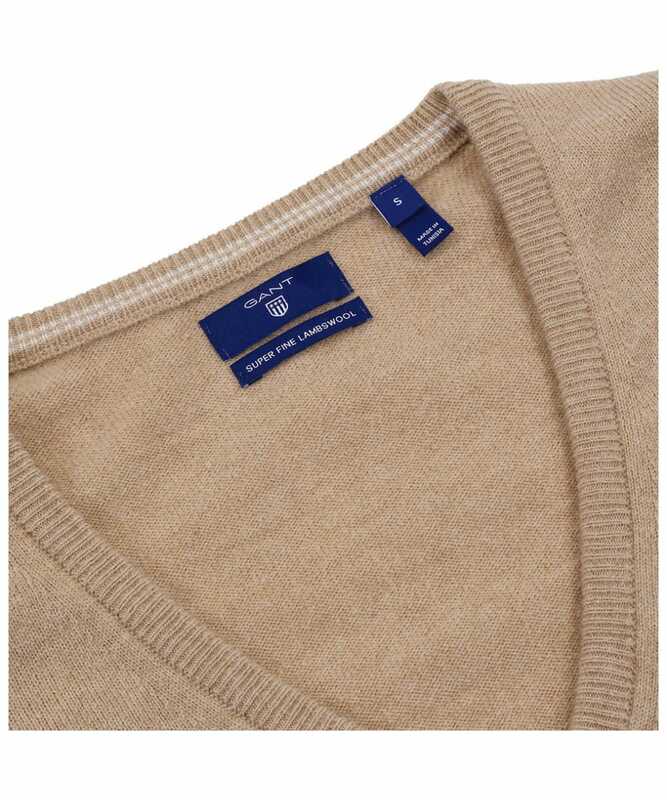 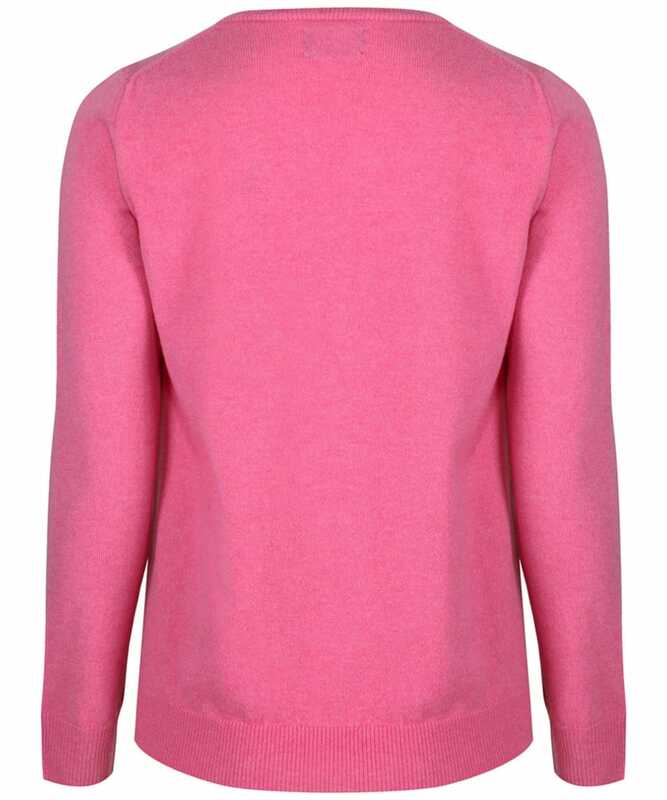 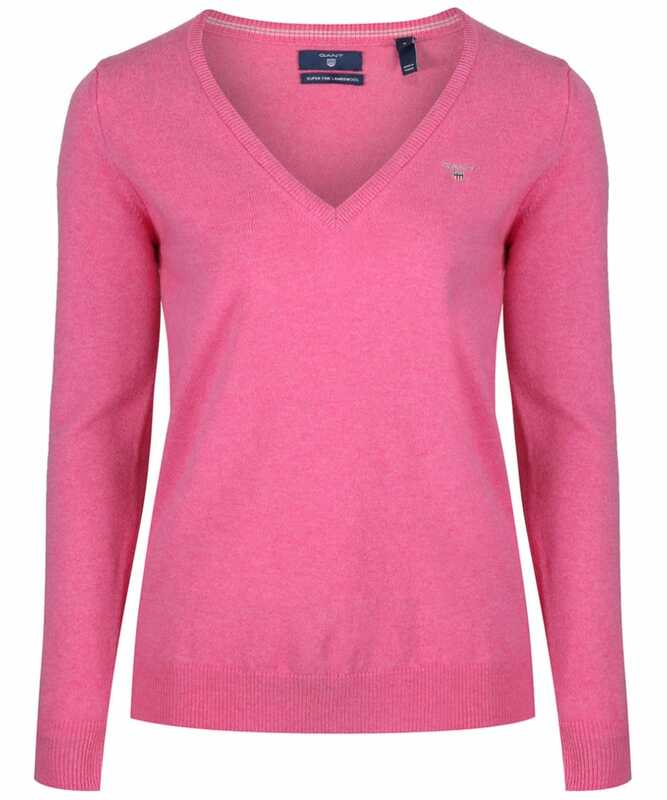 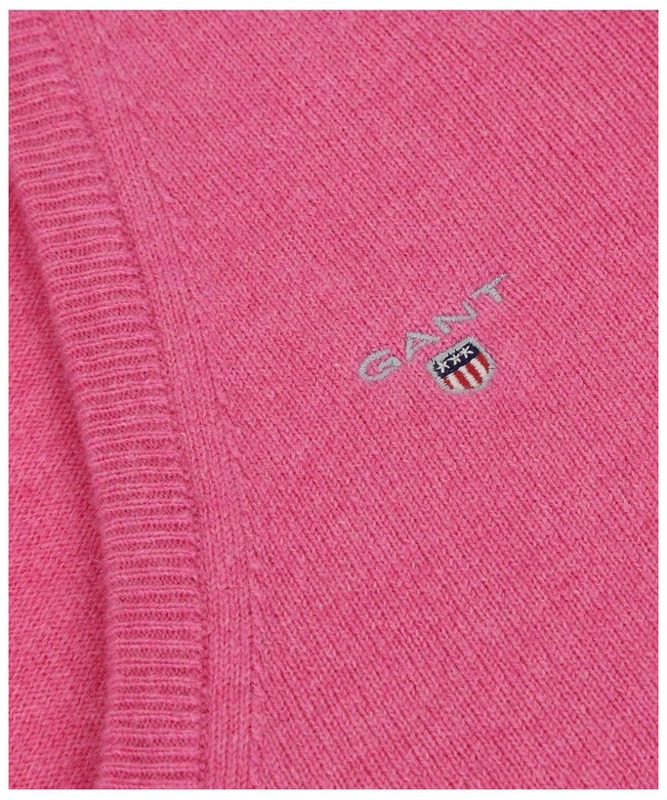 Add warmth and style to your look with the Women's GANT Super Fine Lambswool Sweater. 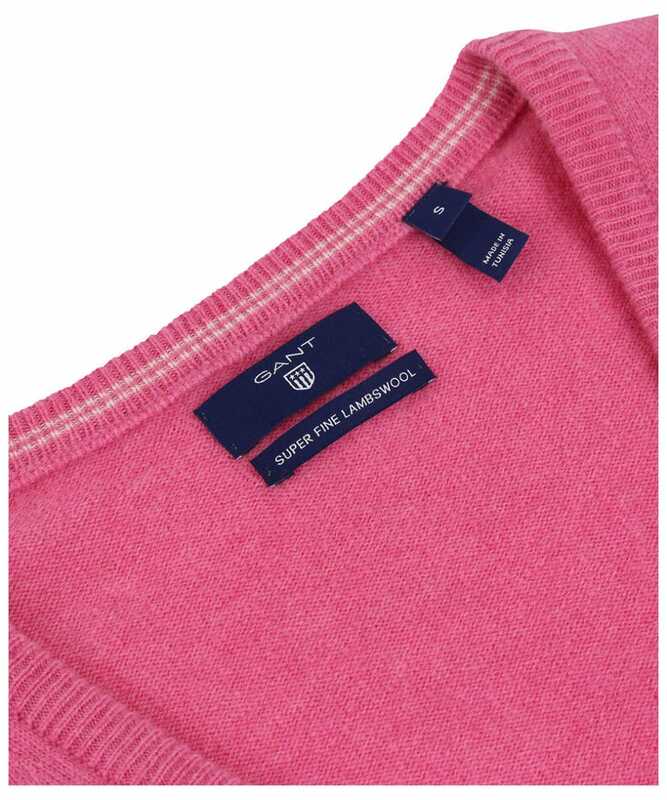 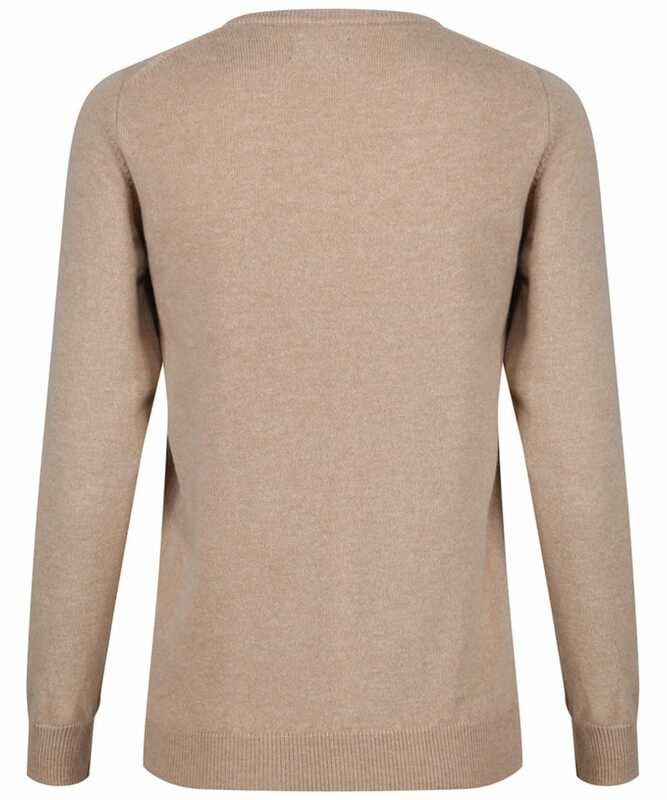 Crafted from 100% super fine lambswool for a high quality, premium feel, this sweater is sure to be your perfect partner for those chilly days. 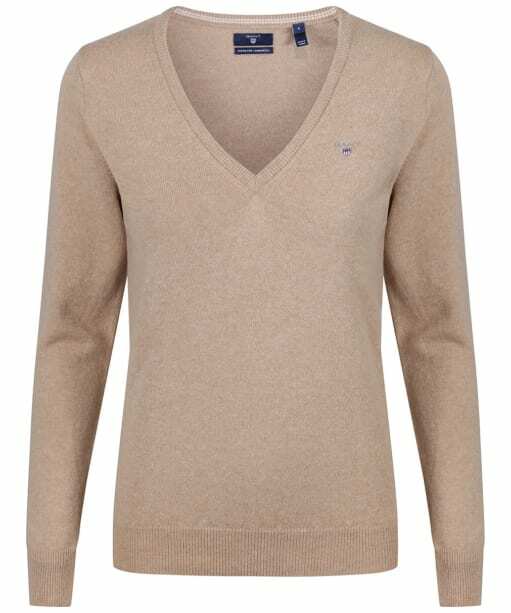 Whether you are layering this beautiful sweater under your favourite jacket or simply pairing it with trousers for a day in the office, it will keep you looking on-trend, with the v-neck and ribbed cuffs and hem designed to flatter your figure. 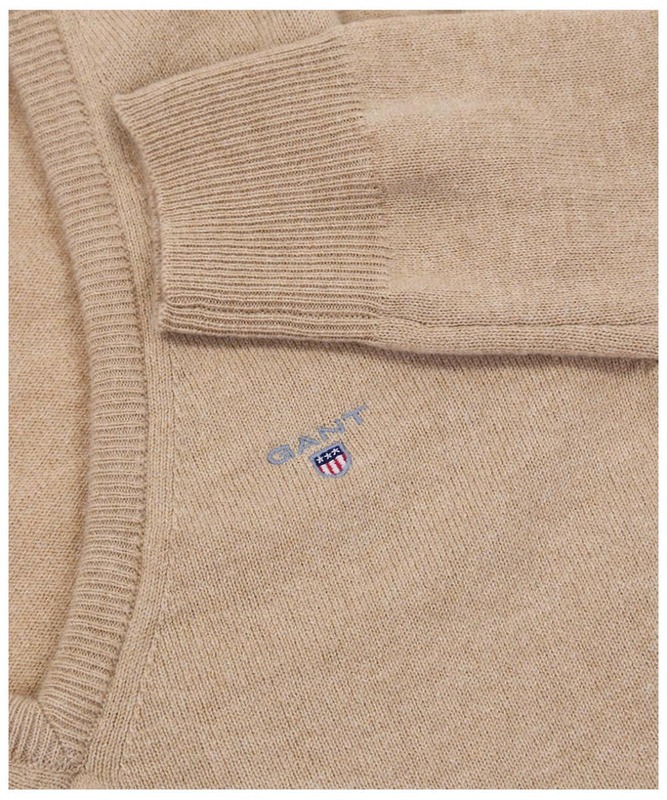 Finished with signature GANT shield branding for that added mark of quality, we think that this cosy sweater will be your new favourite item!